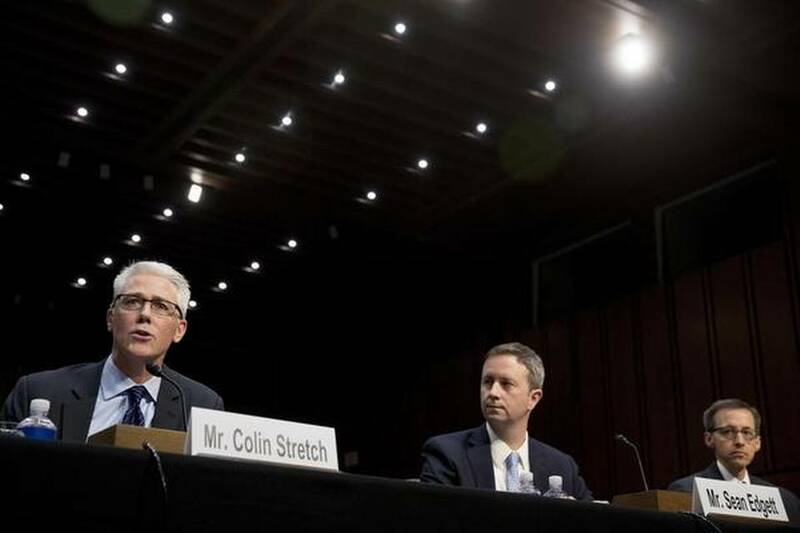 (From left) Facebook's General Counsel Colin Stretch, accompanied by Twitter's Acting General Counsel Sean Edgett, and Google's Law Enforcement and Information Security Director Richard Salgado, speaks during a Senate Committee on the Judiciary, Subcommittee on Crime and Terrorism hearing on Capitol Hill in Washington, Tuesday, Oct. 31, 2017, on more signs from tech companies of Russian election activity. American internet giants told Congress Tuesday they were committed to cracking down on fake news operations on their platforms like the ones Russians conducted to meddle in last year's US presidential elections. A day after bombshell indictments in a US probe of Moscow's election interference and possible coordination between President Donald Trump's campaign and Russia, Facebook,Google and Twitter sought to assure concerned lawmakers that they were taking necessary steps to rid their platforms of disinformation, propaganda and provocation. In their testimony, the social media companies revealed startling new data showing many more millions of Americans were exposed to the fake news than previously thought. The new information gives the broadest picture yet of the Russian effort to spread discord across US society. "We are deeply concerned about all of these threats," Facebook general counsel Colin Stretch told the Senate Judiciary Subcommittee on Crime and Terrorism. "That foreign actors, hiding behind fake accounts, abused our platform and other internet services to try to sow division and discord -- and to try to undermine our election process -- is an assault on democracy, and it violates all of our values." The closely-watched hearing comes as the first charges in a US probe into Russian meddling reverberated through Washington. One of three unsealed indictments brought by US special prosecutor Robert Mueller revealed early contacts between Kremlin-linked figures and a former advisor of Trump's campaign. In Moscow, Russian Foreign Minister Sergei Lavrov insisted the US accusations of election-meddling were being made "without one piece of evidence." Testimony by the three companies, whose executives face more congressional questioning Wednesday, shows that Russian activities were far greater than they had previously reported. Twitter has found that nearly 37,000 automated "bot" accounts with Russian links generated 1.4 million tweets that were seen by a potential 288 million people in the three months before the November 8, 2016 presidential election, the company said. Twitter's acting general counsel Sean Edgett acknowledged that despite improvements that have helped the company identify and suppress malicious automated and human-generated activity, "we will need to evolve to stay ahead of new tactics." "We agree that we must do better to prevent it," he added. Facebook testified that some 126 million US users, a potentially huge portion of the voting public, may have seen stories, posts or other content from Russian sources. "Foreign governments like Russia -- in the 2016 election cycle -- were deeply involved in manipulating popular social media websites with misinformation to sow discord among Americans," Senator Lindsey Graham, the subcommittee's chairman, said in a statement. He said social media manipulation by terror networks and foreign governments is "one of the greatest challenges to American democracy" and national security. Analysts say Russia's social media interference was part of a broader effort to help Trump defeat Democrat Hillary Clinton. Some lawmakers sounded exasperated about the extent of the meddling, conducted in part by "troll armies" like the Russia-based Internet Research Agency. "What is really staggering, and hard to fully comprehend, is how easily and successfully they turned modern technologies to their advantage," Senator Dianne Feinstein said. All three executives faced intense questioning about how they will counter such operations. Google's information security director Richard Salgado said users next year will be able to learn the source of each political ad on YouTube with a single click on an icon above the ads. "We are committed to doing our part," Salgado said. But the social media firms face the difficult challenge of keeping their platforms open, in order to avoid accusations of censorship and bias, and not becoming the curators of truth in society. 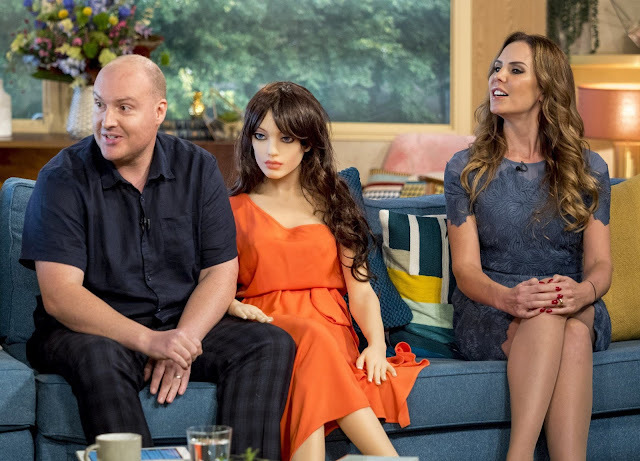 The trio has already begun taking measures to try to screen out manipulative Russian content. Researchers have identified efforts in the past year that aimed to make white Americans angry at blacks, to hurt the image of feminists, and other such targeting that may have hurt Clinton and helped Trump. Twitter announced last week it would no longer accept advertising from Russia Today and Sputnik, two Russian government-backed media groups that allegedly hone their stories and news placement for political impact. Facebook's Stretch said the threat was of a global magnitude. Asked by Graham whether he believed countries like Iran or North Korea could launch similar social media campaigns of misinformation, Stretch noted it was "certainly" possible. "The internet is borderless," he said.